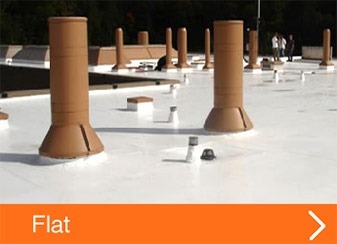 A flat roof is the most common type of commercial or industrial roofing. Historically made up of an underlayment and rolled roofing, there are many choices in type and design of flat roofing to cover your industrial property and insure a long-lasting roof. Vanguard Roofing’s skilled roofers are trained to install the quality flat roof your building requires. Learn more about your flat roofing options. Metal roofs are long lasting, maintenance-free roofing solutions for commercial, industrial, or institutional roofs. Non-combustible, they provide fire, wind, and impact resistance. Vanguard Roofing installs metal replacement roofing solutions that can reduce the heating and cooling costs of your structure. 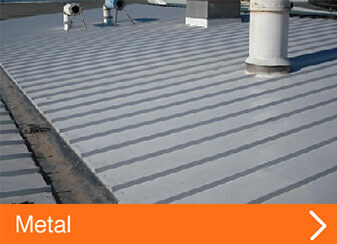 Find out more about commercial metal roofing options. The traditional beauty of slate is undeniable. Although a costly roofing option “up front”, the longevity of slate surpasses that of less expensive roofing options by several lifetimes. When maintaining the integrity of historic building restorations, or giving an historic look to a new structure, slate is a beautiful and classic roofing option. 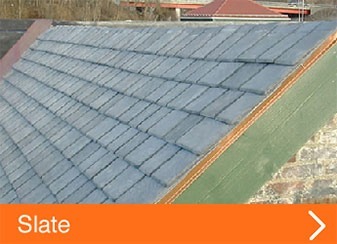 Vanguard’s expert roofers are trained and experienced slate roofers. When its time to replace your commercial or industrial roof, trust Vanguard Roofing of White Plains, NY. Let Vanguard Roofing’s experienced professionals help you choose the best option for your commercial or industrial roof replacement.